If it’s time for you to get a new cell phone, then you probably already know that you'll have a whole host of decisions to make before you choose your new cell phone plan. There are more options than ever when it comes to choosing a smartphone and wireless plan. These days, there's more carriers than ever, and their offerings are much more diverse than ever before. More carriers means more competition, and ultimately, that's good for you, the consumer. The Wirefly comparison engine is the best way to compare cell phone plans on the web. 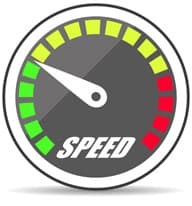 When you come to Wirefly, you can rest assured that you'll be using advanced comparison engines that work to find you the best service at the best price. Wirefly's full-time price monitoring team and panel of industry experts are committed to bringing you the best home and business services deals on the web. To get started, you can use our smartphone finder to search for devices by price, model, manufacturer, features, color, and more. You can then use our plan comparison engine to compare wireless plans by data, minutes, text messages, carrier, and network type. If you'd like to compare prices on other services, navigate to the main menu and choose the service you'd like to start saving money on. We list phones of all different prices. You can get some extremely cheap phones that are used or refurbished, and in some cases you can get phones for free when you sign up for service with a particular carrier. Free cell phones typically only come with a 2-year contract. 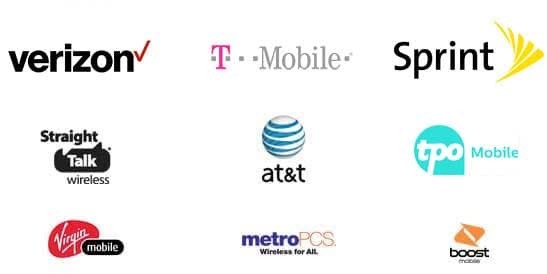 We have reviewed a selection of carriers including AT&T, Sprint, T-Mobile, Verizon Wireless, Boost Mobile, Virgin Mobile, Straight Talk, U.S. Cellular, TracFone, Tello, and more. Some phones are only available with certain carriers because the carriers produce some phone models themselves. But most carriers will serve a variety of manufacturers so in most cases you’ll have a wealth of choices with any given model. You can also look at phones that are ranked as best in class. This includes rankings for phones with the best battery life, thinnest form factor, highest quality display, and other high-end features. However, battery life is frequently dependent on your habits and how you use your phone. For example, if you check your email or text a lot, or you have lots of long conversations, you will burn battery life more quickly than someone else. And when you consider thin and light phones, you should note that the two factors are not mutually inclusive, so look at both categories to see which phones are both thin and light. Phone category refers to whether the phone is a smartphone or a basic phone. Smartphones are usually much more expensive than basic phones, but they will have a lot more features, many of which are extremely useful. Free cell phones can be attained usually by signing up for a 2-year plan. There are so many apps and functions for smartphones that it sometimes seems like it’s taken for granted that everyone has a smartphone these days. But basic phones are a lot less expensive and if you really don’t want some of those features than a basic phone might be the right choice. Wirefly has built a comprehensive smartphone comparison engine to help you find the smartphone that fits your needs. Keyboard and interface refers to the style of the screen and keyboard of the phone. On some phones, you use the number keys to type text messages. On some phones, you get a flip keyboard that looks like a standard keyboard. Some phones have touch screens with a display of a keyboard that you use right on the screen. A 4 inch or bigger display refers to the size of the screen. Most phones with 4 inch or bigger display screens are usually touch screen phones. Most cell phones have built-in cameras of some kind, and some also have video cameras. With our cell phone comparison tool, you can look at phones based on the type of camera capabilities they have. This may be a useful search option for you if you find that you frequently use your phone for taking pictures or video. The memory on your mobile phone determines how much data you can store on it. Some phones have a predetermined memory capability that is built into the phone. You cannot change the memory amount on these phones, so be careful when you pick a phone that it has the memory amount you want. Internal memory starts at 1GB. A phone with expandable memory, on the other hand, uses a chip for memory. This means that you can replace the memory chip on your phone with a chip that his more memory later. A phone with push-to-talk features means that you can use that phone like a walkie-talkie. Most phones carriers still require you to subscribe to a voice plan in order to use this feature. A rugged phone is a phone that is designed for use in all kinds of activities like hiking, biking, skiing, etc. Basically, they are sturdy phones that are designed to withstand lots of dropping and damage. A world phone is a phone that can access different frequencies so that you can use that phone all over the world without switching plans. This would be a good choice for a frequent international traveler. The accessibility of a cell phone is its ability to connect easily to a hearing aid. Some cell phones can only connect to some hearing aids, so you should look through your options carefully before selecting a hearing aid accessible phone. How many lines will your plan need? How much data will you use each billing cycle? How many minutes will you use each month? How many SMS messages do you send? Do you want a no contract postpaid plan, or do you want a prepaid plan? Would you like to pay for the phone upfront, or pay it off over a number of months or years? Does the cell phone deal save you money? You can get individual cell phone plans and family plans. If you need to cover service for other people in your family, or you want to combine service with a spouse or partner, then a family plan can be a good way to save money on service. Family plans usually cost less per line than individual plans. Most standard plans now include unlimited talk and text, but you can forego unlimited in order to save a significant amount of money. On family plans where family members need to share all of their minutes, you will often get more variety in your plan options. If you have a smartphone, you will also need to get a data plan. Data plans allow you to transfer and store data. Lots of people like to get prepaid plans because they are a way to get phone service without having to sign a contract. This means that you can end your service with a carrier at any time without consequence. If you have a yearly contract with a carrier and you want to cancel service before the end of the contract, you usually have to pay a fee for each of the remaining months in your contract. No contract cell phone plans typically require you to pay the full price of the phone. However, many companies will now let you pay off the phone over 24 months. Use the free tools available at Wirefly to compare cell phone deals from every carrier, large or small.